Lips feeling a little dry and flaky? 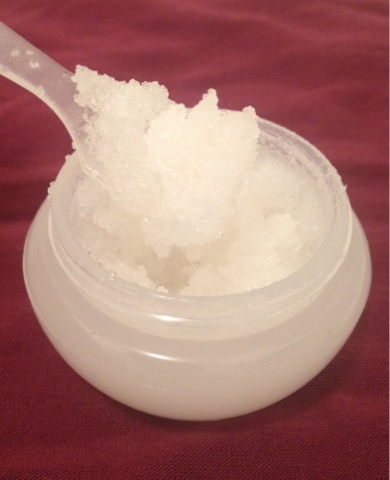 Make your own lip scrub! All you need is some oil of your choice (I love coconut oil as it smells delicious) and some caster sugar. Mix equal parts in a cute little jar and you have your very own yummy lip scrub handy at all times. Spoon out a small amount and gently rub over your lips with your finger for 30 seconds to exfoliate. Follow with your favourite lip balm and voila; smooth, luscious lips. TIP: If you don't have any tasty oils handy you can use honey. Be aware that honey will not store as well in a jar though. TIP: Scrub too runny? Add some more sugar.